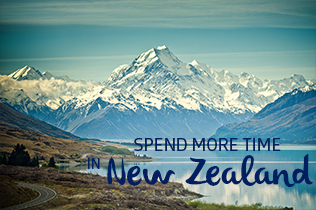 Philippine Airlines Promo 2016: Enjoy the fastest travel time from Manila to Auckland, New Zealand. When you're travelling, every moment at your destination feels precious. Fly with Philippine Airlines and have more time to explore Hobbiton, visit the Sky Tower, or travel all the way to Mount Cook. We fly to Auckland, New Zealand via Cairns, Australia 4x weekly. Travel to Auckland with the airline that lets you feel the Heart of the Filipino. Fare is all-in roundtrip rate. Fare is equal to base fare + government taxes & fees + terminal fee + ticketing service fee. Fares are subject to change due to currency conversion rate. Fare is non-refundable for totally unused and partially used tickets. Change fee for Budget Economy is USD100 per transaction. Philippine Travel Tax is applicable to Philippine passport holders, foreigners holding a Philippine resident visa, and foreign tourists or expatriates who have stayed in the Philippines for more than one (1) year. Ticket is non-transferable. Ticketing Service Fee is not applicable for web purchase. Fare is refundable when application for visa is denied with a fee of USD50. Passenger must show proof of application and denial at any PAL ticket office. Flight reservation must be cancelled upon passenger’s receipt of visa denial or 7 days prior to departure, whichever is earlier. For visa denial within 7 days prior to departure date, PAL will collect No-Show fee of USD75 unless booking is cancelled 24 hours before departure date. Infant fare is 10% of adult fare. Child fare is 75% of adult fare. Fare comes with 50% Mabuhay Miles accrual. Quoted fares are rounded off to the nearest whole number. Other travel conditions apply. Fare is inclusive of 7-kg handcarried baggage and free check-in baggage allowance of 30 kgs. There may be additional fees for your checked baggage in excess of your free baggage allowance.